Yemen’s rapidly unfolding crisis hit a turning point for Saudi Arabia last week once Houthi militants overran the city of Taiz, the country’s third largest, leaving the Shiite group in striking distance to take the southern city of Aden where President Abd Rabbu Mansour Hadi has taken refuge since being ousted in January. Despite the Houthis' military gains, the group clearly overextended itself militarily as it has become unclear whether the movement and its leadership has full control of its militiamen. But what would have happened had a Saudi-led alliance not intervened to support legitimate Yemeni President Hadi? 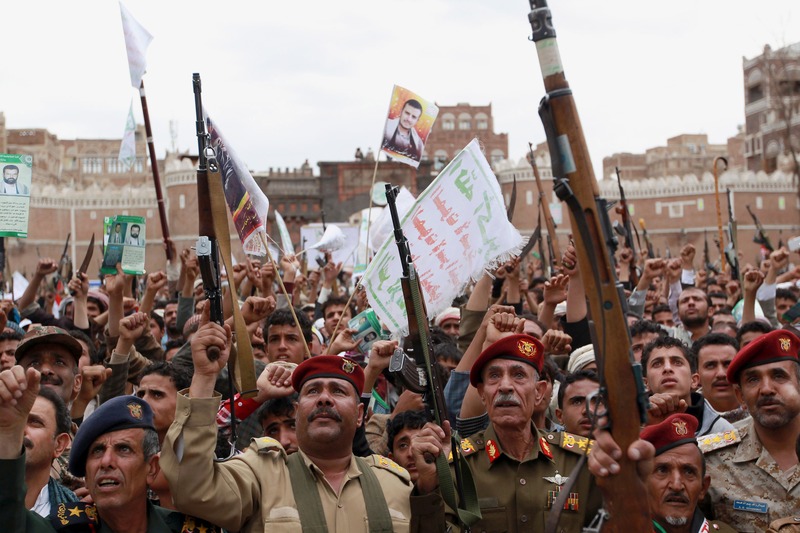 What would have happened if Houthis gained further control? A dangerous, but plausible scenario, is that the Houthis, like many revolutionaries before them, could implement a reign of terror as they find themselves unable to control their militiamen, let alone govern or provide basic government services for its population. Although the Zaidi-Shiite clan has officially supported the country’s embattled National Dialogue since the ouster of former president Ali Abdullah Saleh in 2011, the country’s strongman for 33-years, the group has simultaneously taken advantage of the weak post Arab Spring government by carrying out an extraordinary military campaign leading it to seize territory from its historical base in the northwestern provinces to resuming control over the capital of Sanaa in September of last year. The group, led by Abdul-Malik al-Houthi, however, may have miscalculated Saudi resolve to prevent it from taking Aden and with it control over the country’s three largest cities as the Houthis are seen by Riyadh as nothing short of an Iranian proxy. Prior to having taken Taiz on Sunday last week, the Houthis control the northwestern border provinces of Saada and Al Jawf, including swaths of land in the Amran and Hajjah provinces; it also controls the strategic port of Hodeidah on the Red Sea coast, the country’s second largest and the small Red Sea port of Medi and al-Dawaymeh island, both near the border with Saudi Arabia. Helping explain the Saudi government’s decision to carry out its “Decisive Storm” operation by providing 100 warplanes with additional jets provided by the United Arab Emirates, Qatar, Bahrain, Kuwait, Egypt, Jordan, Morocco and Sudan, Riyadh and its Gulf Cooperation Council allies see the Houthi capture of Taiz as part of the group’s orchestrated effort to solidified its access to the Red Sea, with Saudi Arabia fearing that Iran seeks to consolidate its regional influence by stoking tribal and sectarian tensions from the strategic Bab al Mandeb Strait through the Red Sea to the Gulf of Aden. Meanwhile, the rapid and brutal advance of ISIS, a self-proclaimed caliphate, holding onto territory in eastern Syria and western Iraq, is not only threatening the stability of Iraq's semi-autonomous Kurdistan and its religious minorities, but has also helped exasperate fears in Riyadh that regional instability and turmoil could threaten its own security. Between ISIS threatening to establish a hub of militancy in the center of the Arab world with wide-ranging global consequences as the recent terrorist attacks in France and Denmark have illustrated and Iran’s rise as a regional power prompted by Washington’s de-facto recognition of Tehran’s controversial nuclear program, Saudi Arabia saw the Houthi attempt to take control over Yemen’s three largest cities as a red line that required immediate military attention. Given Iran’s pronounced support for Syria’s embattled Bashar al-Assad regime and for the former Nouri al-Maliki regime in Iraq, Saudi Arabia and the GCC are increasingly feeling geographically and politically surrounded by Tehran’s growing regional allies and influence. Beyond its persistent rhetorical support for the Houthis, it is unclear to what extent Iran has supported them military, either through lethal assistance or military training. Complicating matters, the advancement of ISIS in Syria and Iraq has also left Saudi Arabia and its GCC allies with little choice but to abandon its initial support for Sunni rebels seeking President Assad’s ouster. While Saudi Arabia is reportedly erecting a massive fence along its border with Iraq to prevent any possible infiltration of its territory by ISIS militants, it is left with little choice but to rely on the U.S.-led coalition to fight off the militants on the western flank of its border. 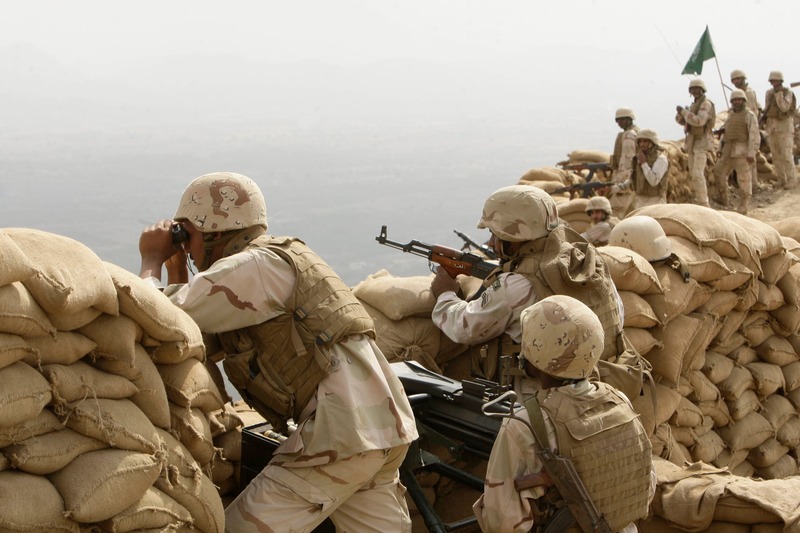 When it comes to its southern border, however, Saudi Arabia has established its own coalition, consisting of its GCC allies, except for Oman, Jordan, Morocco and Pakistan reportedly considering a request to dispatch ground forces. Egypt, for its part, has dispatched four naval ships en route to secure the Gulf of Aden. The Saudi-led coalition has also received U.S., British and French support, with Washington pledging to provide intelligence assistance. Despite U.S.-Iranian negotiations over Tehran’s controversial nuclear program expected to reach a preliminary agreement by the end of the month, Washington’s support for Riyadh’s military offensive should help reassure the Kingdom of its commitment to regional peace and stability. Washington, along with all the permanent members of the U.N. Security Council - Britain, France, China and Russia, have maintained their support of the Hadi government while continuing to support U.N. mediation efforts to bring about a political solution to Yemen’s complicated and fragmented political process. Given that the United States and its international allies have committed significant resources to fight off ISIS, it is unclear how successful their targeted airstrikes have been to destroy its leadership and dismantle the group’s terrorist infrastructure. As the Saudi led-air campaign intensifies, Riyadh will inevitably face similar challenges when it comes to dismantling the Houthis’ leadership infrastructure; but its apparent objective to halt the Zaid clan’s advances toward taking Aden seems to be within a target. Although an unnamed Saudi military official told Reuters on Thursday that a “land offensive might be needed to restore order,” the Kingdom is likely to be weary of being drawn into a long-term conflict in Yemen without a clear endgame. After all, Saudi Arabia was drawn into a conflict with the Houthis after a Saudi border patrol was ambushed in a cross-border attack in 2009. Given that the previous Saudi-Houthi war ended in a stalemate without a clear vector, with the absence of a functioning Yemeni government a political settlement is likely the only viable solution to prevent a full-fledged war between the two neighbors that could fall along sectarian lines. While the Zaidi clan cannot match the Saudi military, Riyadh’s unfolding air campaign might help bring the group to the negotiation table as it could lose its standing as Yemen’s strongest political actor should it be drawn into a lengthy war. Building on Oman’s strategic alliance with the U.S. and its friendly relations with both Saudi Arabia and Iran coupled with the fact that it is not participating in the Saudi-led air campaign against the Houthis, the Sultanate could help defuse regional tensions by facilitating backchannel talks between international stakeholders and Yemen’s various competing factions. With the return home of Sultan Qaboos of Oman from having sought medical attention in Germany for the past eight months, he may, as long-standing regional intermediary be in a unique position to bring the various stakeholders to the negotiations table. The failure to reach a negotiated settlement, however, could have far reaching consequences on the region and on Yemen’s impoverished population in particular. Despite Abu Malik Al Houthi's undisputed leadership over his clan, he appears to be a paranoid leader unable to delegate responsibilities as no one else from his clan, including his brothers, are believed to have significant influence on the movement's decision making process. 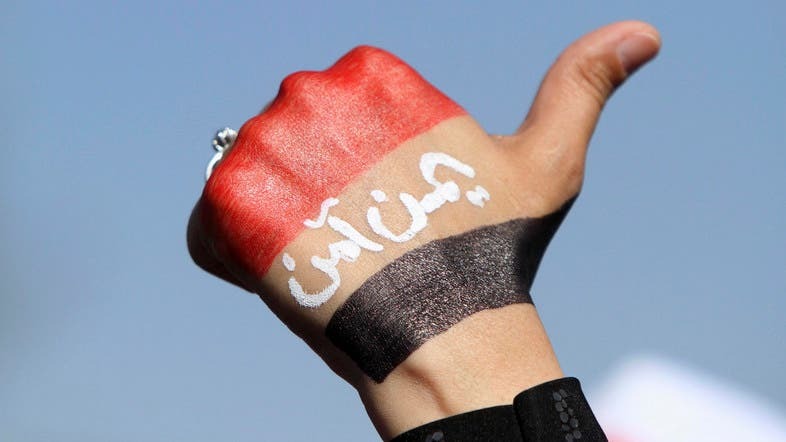 It can also be argued that despite their impressive and successive military gains, the Houthis have clearly overextended themselves as they are unable to govern the country alone, let alone manage the economy. Given how quickly the movement has grown, it has become increasingly unclear whether its leadership has full control of its militiamen. What is clear, however, is that despite the Houthis having emerged into Yemen's strongest political actor after deposing Hadi in January, Abu Malik Al Houthi's apparent miscalculation that he had crossed a Saudi redline by taking the city of Taiz suggests that he had not been able to establish some an effective backchannel with Riyadh. Nor had he seemingly attempted to secure Saudi funding for Yemen's impoverished government, despite his meticulous efforts to control it by seeking to fully defeat Hadi as part of his plan to take the city of Aden. While recent events suggest that Abu Malik Al Houthi may be an erratic and paranoid leader, should the group have succeeded in taking over the country, a dangerous, but plausible scenario, is that the Houthis, like many revolutionaries before them, could implement a reign of terror as they find themselves unable to control their militiamen, let alone govern or provide basic government services for its population. Another plausible scenario driven by a paranoid leadership, fearing alleged foreign intervention, could be the gradual imprisonment and subsequent execution of perceived political opponents in the name of anti-terrorism policies. Unless the present Yemeni crisis is properly and actively managed by Washington and Riyadh, in close cooperation with all relevant stakeholders, the conflict could have long ranging consequences on the stability in the Gulf region which would adversely impact energy supplies for world markets. Sigurd Neubauer is a Washington, D.C.- based Middle East analyst. His expertise includes; Oman; Persian Gulf security; inter-GCC dynamics; Arab-Israeli relations; and Afghanistan.